Our goal is to make a difference in the lives of local families in need and non-profit organizations, through donations, volunteerism and community good-will opportunities. 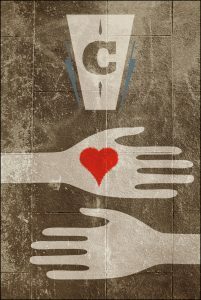 Every Tuesday night between 6 pm and 10 pm, CONRAD’S donates 10% of all food sales to a specific non-profit or charitable organization in efforts to support local families and charities. You do not need to be directly involved in our nightly organization to donate. All CONRAD’S customers who dine will be giving whether they know it or not. 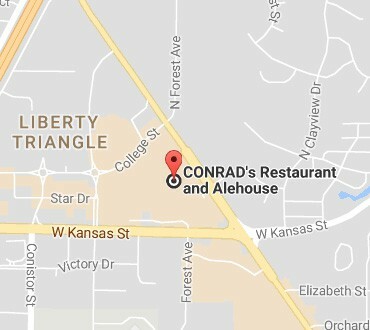 You can feel good that you have supported the local community by “Dine 2 Donate” every Tuesday night at CONRAD’S Restaurant & Alehouse. Please see our Event Calendar for information on upcoming Dine 2 Donate recipient organizations, as well as all the other great happenings at CONRAD’S Restaurant & Alehouse. If you work for or represent a local charitable organization / fund-raising operation, and would like to submit it for consideration for our Dine 2 Donate program, please complete the contact form below and one of our management team will follow up with you.